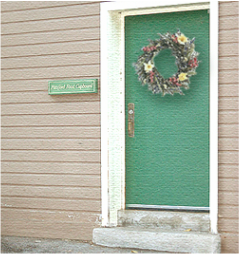 In March of 1998 the Pittsford Clergy Association opened a food cupboard in the Old Pickle Factory* on Grove Street. A year of research preceded the opening. At the time, a needs assessment showed that over 100 children in the Pittsford Central School District received free or reduced priced lunches and four percent of the village lived below the federal poverty level. People also came from various nearby communities to the doors of the Village churches seeking assistance. The needs assessment was conducted by Jill Slaterpryce, a graduate student at Roberts Wesleyan, who served as the first Director of the Food Cupboard. In April of 1998, Tom Driscoll took over as the Director. Initially 5 - 10 households a week were served, providing food and making referrals to other assistance agencies. Since then, the Pittsford Food Cupboard has grown to serving over 4000 households each year, totaling more than 9,400 people. To accomplish this, PFC has more than 85 volunteers who work as Food Assistants, Lead Interviewers and Restocking assistants. The Pittsford Food Cupboard is a 501(c)(3) Non-Profit organization, and exists solely through grants and donations from the community.